A pearl is a symbol of both beauty and purity, and in ancient time adorned both warriors and priests as a symbol of power. 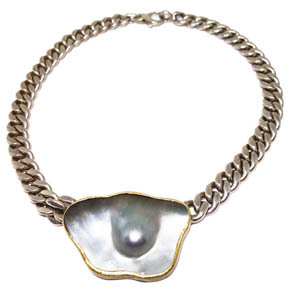 Today, pearls are used in both classic and contemporary styles of jewelry. 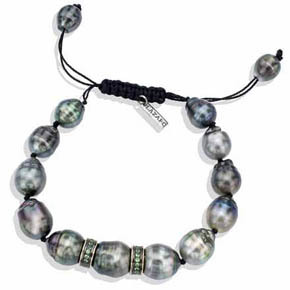 A pearl has a unique beauty to it, and Lazaro pieces use this attribute to maximum effect. 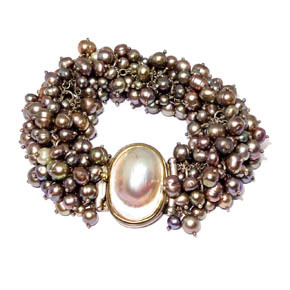 Many of our Pearl bracelets take inspiration directly from the artists and styles of ancient cultures. 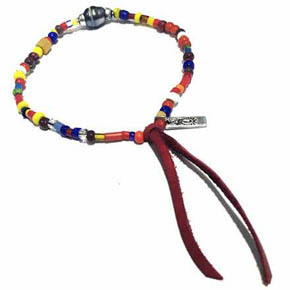 Splash some color to your ensemble with this African glass and South Sea Pearl men's bracelet accented with our signature sterling silver and red leather tassel. 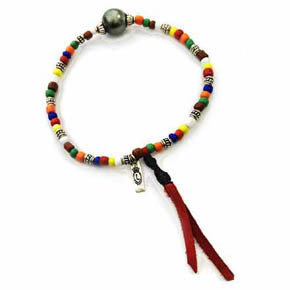 This woven leather & south sea pearl men's bracelet is made for a size 8.5" wrist. 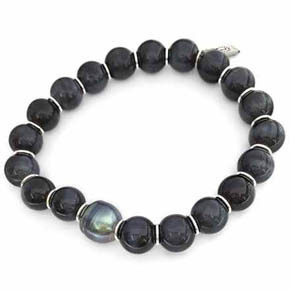 This silver and tiger's eye bracelet for men features a tahitian pearl on a handstrung men's bracelet. 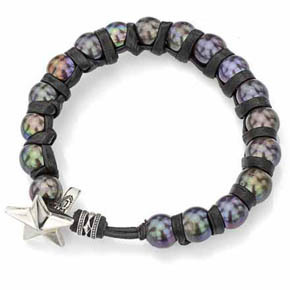 These hand strung fresh water pearl and high quality leather bracelets feature a sterling silver star closure. 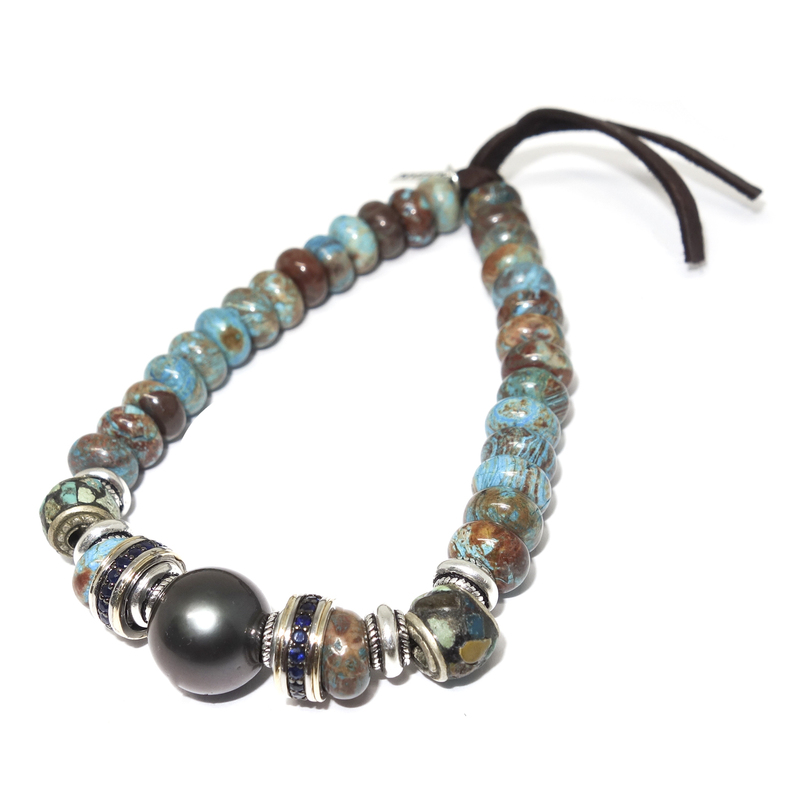 This rustic looking bracelet has 8mm beads made from turquoise centered around a 12.5mm south sea pearl. 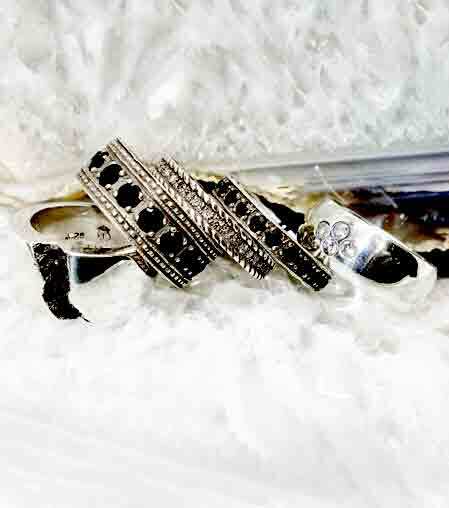 Our signature sterling silver and 14kt gold fused spacers encrusted with sapphires. South sea pearl bracelet with sterling silver and onyx tipped adjustable closure features hematite and tigers eye. Exquisite and luxurious is just a few ways to describe this bracelet. 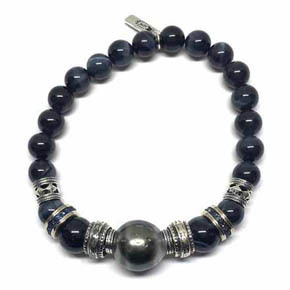 Created of regal blue tigers eye beads surrounding a one-of-a-kind South sea pearl detailed with not only sterling silver roundels, but also featuring 14KT gold and Sapphire roundels as well. 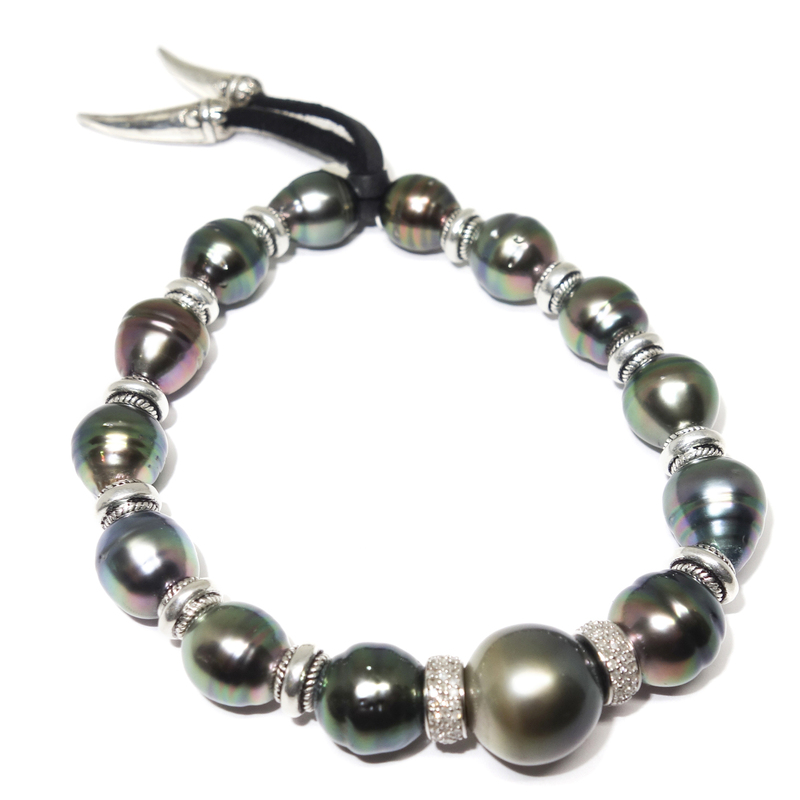 This bracelet is comprised of handpicked and handsome black south sea pearls, diamond roundells, and Lazaro's signature silver spacers. Finished with sterling silver tips, this bracelet is a unique and masculine accessory sure to appease any connoisseur of men's jewelry. 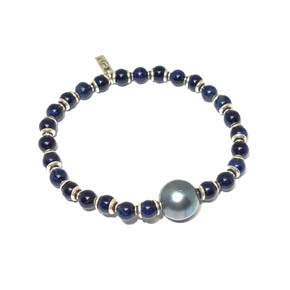 This bracelet incorporates 18kt sterling silver with genuine fresh water and mabe pearls. Tzavorite, sterling silver and 14kt gold on handstrung south sea pearl bracelet with an adjustable closure. 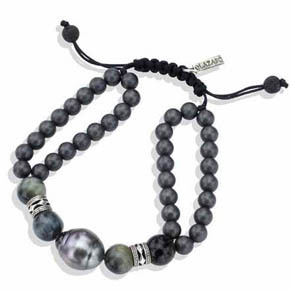 Shop men's pearl bracelets from Lazaro Soho. 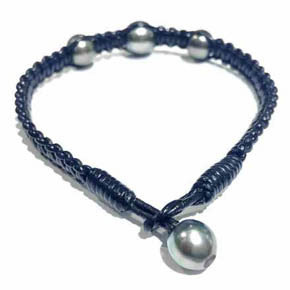 We offer many styles of pearl bracelets for men like men's black pearl bracelet, men's Tahitian pearl bracelets, men's white pearl bracelet, freshwater black pearl bracelet for men, men's mother of pearl bracelet, and men's leather pearl bracelets.